Last month I shared my top frugal hacks for keeping an eco-friendly kitchen, and this month I want to tackle another easy-to-be-wasteful area of the home: the bathroom! Like last time, I want to emphasize that hopping over to a green product, rather than a green practice, may be more wasteful than just using whatever you already have. So please, if you already have something that does the job, keep using that thing to the ground. Then you should consider making the switch to a greener version! 1. I’ve said it before and I’ll say it again – catch your water! Whether you’re letting water run to warm up in the shower or the sink, keep a container nearby and catch as much of it as possible to reuse later. It’s just tap water! 2. Cut down on packaging. Use up your shampoo, conditioner, and soap and replace each with only products that have compostable or nonexistent packaging, such as these from Lush. 3. While you’re at it, keep a small, airtight compost bin on your bathroom counter and use it for things like used cotton swabs, cotton balls, paper products, hair from your brush… that can all be composted! Cotton rounds or cotton balls. Yes, you can always compost these, depending on what you’re using them for. But wouldn’t it be nice to toss them in the wash once a week with your laundry? Save the planet, save your money. It’s a win-win. Paper towels. Just keep a stack of hand towels nearby and toss those in your weekly wash as well! Disposable razors. There’s no great solution for this yet for us ladies, but I made the switch to Billie razor heads and am happy with the change so far. Better to toss the cartridge than the whole handle! Bonus points because it’s a cheaper option than the Venus razors I’d been using. 5. Save bottles and containers if you can reuse them. I shared my skincare obsession and routine before, but I definitely hold onto the pump bottles that house my favorite moisturizer and toners. They’re great to repurpose for products that should come with a pump, but don’t. Most of the products we use in our skin and hair are liquids, and exposing those products to air, light, and the oils or dirt from your finger as you dig them out of the tub can either reduce their effectiveness or lead to breakouts. Jus’ sayin’. 6. Embrace your hair’s texture! You’ll save yourself time, money, and electricity if you keep those straighteners, curlers, and blow-dryers out of your day-to-day. 7. Of course, I have to mention this one — instead of using disposable feminine products, find and stick to long-term reusable solutions. Make tampons a thing of the past and replace them with a reusable Cup. 8. One more for just the ladies! Get rid of your liners and pads as well — we now have the technology built into our underwear! If you haven’t tried Thinx, now’s your moment. 9. I’m including laundry because it’s tangential: ditch single-use pods and allow yourself to use less detergent if you’re able. Reduce your water consumption there as well by only using the machine when you have a full load to do! 10. If you choose to dry your clothes (let’s be real, I totally do), avoid using single-use dryer sheets and try these wool balls. I’m a huge fan – not only are they reusable, but they cut my drying time down significantly, saving energy as well! 11. If you’re able, consider air drying your clothing instead altogether. It’ll save you money on your energy bill, and it’s one small impact that really adds up over time! 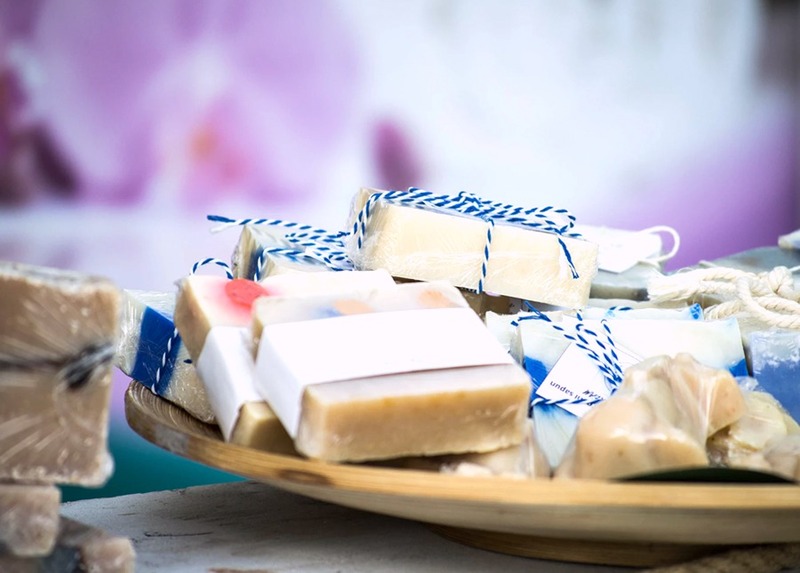 There you have it – a few more super-simple ways to reduce, reuse, and recycle in the bathroom and on your vanity. It doesn’t stop there, though, so feel free to tell me what I missed! Tis is a 20-something recruiter, startup enthusiast, finance blogger, and proud feminist-slash-crazy cat lady. Find her on Twitter or check out the blog for lifehacks and musings on personal finance, professional growth, and enjoying the journey to early retirement.